Paul Apowida was born in Ghana in 1985. 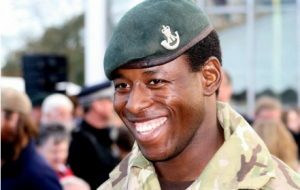 He is a soldier in the British Army with 1st Battallion The Rifles. In 2011 he served a tour of duty in Helmand province, Afghanistan. When Paul was a baby, his parents and several other family members died suddenly. 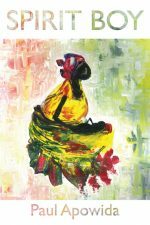 His terrified community in northern Ghana believed Paul was an evil spirit responsible for the deaths – in line with their deep-rooted cultural beliefs – and if he was allowed to live, the spirit would strike again. So Paul was poisoned and left outside to die in the heat of the African sun. But he survived that attempt on his life, along with two more, all made before he turned five. After being smuggled to a children’s home hundreds of miles away, Paul did more than just survive – he grew up to become a successful artist and a decorated soldier who served in Afghanistan with the British Army. Working with the British charity AfriKids, he then helped stop the horror of what was done to him happening to any other child in the parts of Ghana where the phenomenon is found. For more information about AfriKids please see www.afrikids.org.